A lot of kids enjoy baking or helping out in the kitchen. I remember when my cousin's daughter got into baking cupcakes as a Tween and I also have memories of baking with friends at a young age. 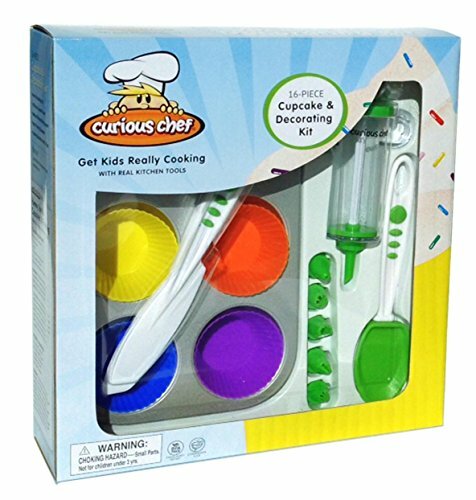 The Curious Chef 16 piece Cupcake and Decorating Kit, lets a child explore their creativity with food. 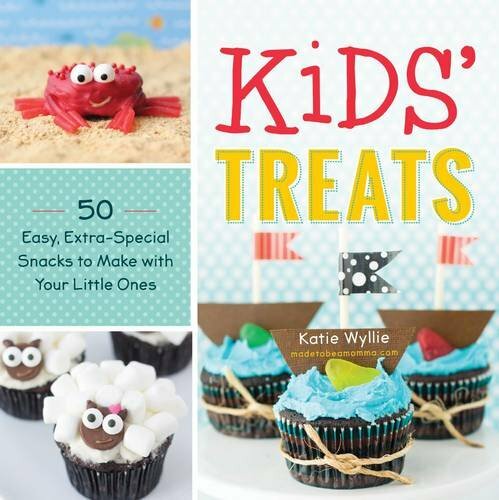 And books like, My First Cupcake Decorating Book, or Kids' Treats: 50 Easy, Extra-Special Snacks to Make with Your Little Ones, will guide them. 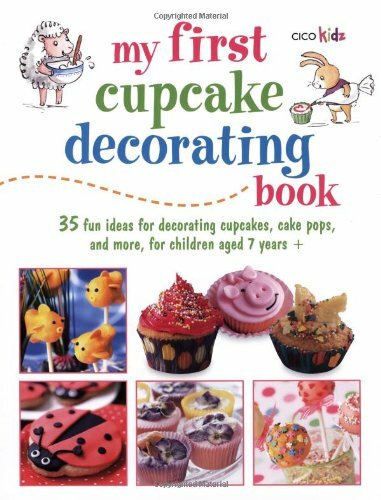 If you're looking for a recipe book to make cakes/cupcakes from scratch, I personally love Kiss My Bundt: Recipes from the Award-Winning Bakery. The author, Chrysta Wilson, gives tips on how to get good results from your cakes, including how to cream the butter, which ingredient brands will yield better taste results, etc... And although the title says "Bundt," you can make whatever cake shape you want and I have only made standard round cakes or cupcakes with this book. But this book is not geared towards kids. You may also consider giving an apron with this gift. There are some cute options like this personalized fork-plate-knife graphic apron by Etsy shop, littlechook. It is available in sizes for a Toddler (ages 2-4), a Child (ages 4-9), or Adult sizes for older children. Or I like the look of this apron in red with the grey-striped pocket, or this grey apron with an accent-colored front pocket, from Etsy shop, Made at Home BeBe, and the seller told me they are adjustable for kids ages 1-10. And for every purchase of a Made at Home BeBe product, a dollar is donated to a local charity!